A lady came to me last week seeking my help with reading. She has macular degeneration and had visited another low vision optometrist a year ago. The doctor recommended an electronic hand magnifier. The cost was about $1000 and the lady did not order it. Her husband went to the internet and found an electronic magnifier for $200. The lady continued to have problems reading and came to me. I also recommended a hand held electronic magnifier for about the same price. When I asked to see the device ordered from the internet it was obvious that it was very poor quality. In the picture you'll see that the chart viewed is magnified, but very blurred. Not much help. The magnifier had 4 feet on it so it could be placed on the paper or book being read. Inexplicably, when it was placed on a book or paper it turned off. I don't think they made a good purchase. When you buy a low vision device from the web, and there are plenty offered, you have no idea of it's quality or whether it is going to help you. 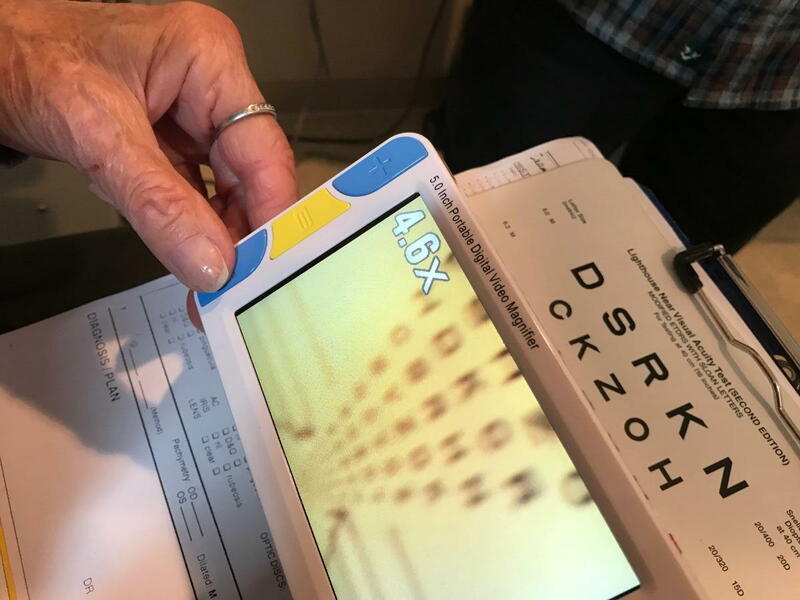 A low vision doctor like myself can evaluate your vision, demonstrate several different types of special glasses or other devices and prescribe what will help you the most.